Fried okra, Carolina gold rice, tomatoes warm off the vine … these are the summer foods of South Carolina, and all of them have an African American connection. Go beyond the plate this summer to explore the place, the terroir (to use that buzzword) of these iconic Southern foods. The Green Book of S.C. is a contemporary travel-planning tool that pays homage to the original Green Book, first published in 1936 by New York City postman Victor Green as an African American travel guide to safe harbors and welcoming establishments across the United States. This contemporary homage features tourism destinations while focusing on the story of African Americans in the Palmetto State. Probably no other crop defines the state more than rice. Rice, which had been harvested and consumed by people on the Asian and African continents for centuries, was introduced to America in 1685. Although colonists had already identified the low-lying marshes and tidal rivers as ideal rice fields, the enslaved people brought to America from the west coast of Africa taught them advanced harvesting techniques that allowed them to mass-produce and make rice a cash crop. There were rice plantations all over the South Carolina Lowcountry, including Hampton Plantation State Historic Site (which is mentioned in Green Book’s Redcliffe Plantation State Historic Site entry) and the Cooper River Historic District. And since rice is a crop that redefines the landscape with a series of locks and controlled flooding, the state still bears that evidence today. Carolina Gold Rice, the actual variety of rice grown, has been revived as a crop and is a favorite of many Southern chefs, so it’s easy to find a bite after taking in the sights. 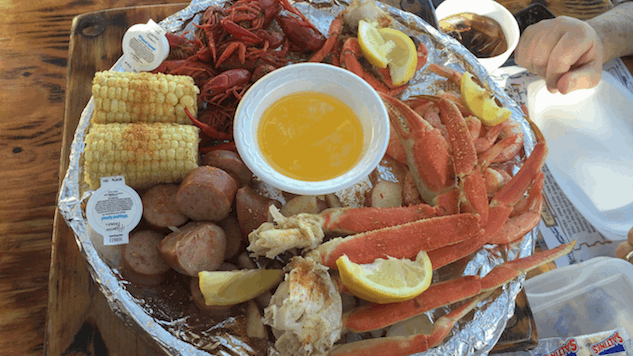 If it’s seafood you’re searching, go down almost to the Georgia line to Daufuskie Island, where deviled crab (a mixture of crab meat, breadcrumbs, spices and peppers pressed back into a blue crab shell and baked) gained popularity. You’ll have to take a ferry as there are no bridges to the island, but the movement of the tides will tell you more about the origin of this delicious food than a book ever could. And yes, there is deviled crab to be had on the island at Old Daufuskie Crab Company. Designed with the mobile user in mind, The Green Book of S.C. features more than 300 heritage sites and cultural attractions across all 46 counties in South Carolina. The guide is designed with the mobile smartphone or tablet user in mind, but it is applicable for laptop and desktop users, too. View the entire Green Book of South Carolina mobile travel guide online and via mobile web browser at www.greenbookofsc.com. Users can add a shortcut to their collection of apps on their mobile device home screens via the web browser “settings” interface. Stephanie Burt is a contributor for Paste and the host and producer of The Southern Fork, a podcast that host conversations with some of the most interesting voices in the culinary South. In other words, she knows her way around a good biscuit. Follow her adventures in eating at @southernfork on Instagram.